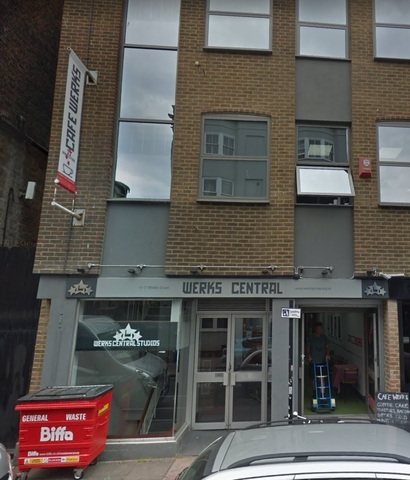 Alcoholic drinks will go on sale at a Brighton co-working space after strict limits were agreed. Central Werks in Middle Street can now sell alcohol from its café during pre-booked events only, with a time limit from 6-10pm. The co-working space and café is in Brighton and Hove’s cumulative impact zone, where new alcohol licenses are limited because the city centre is saturated with pubs, clubs, off-licenses and restaurants. Last year temporary events notices (TENs) were used for special events where drinks were available. This year Central Werks will be a Brighton Fringe venue throughout May, which would use up its 15 TENs in half the time. During performances people will have to sit down while drinking. Vertical, or drinking while standing, will be allowed during art exhibitions. Werks founder Ian Elwick was delighted when the confirmation came through as he had heard the council had not granted any new licences in the zone for ten years. He said: “We worked closely with the council and the police to make sure everyone was happy and we could deliver what we wanted. The licence does not cover birthdays, weddings or any other seasonal parties.